In late 2016 the band entered the studio to begin recording their follow-up to the highly acclaimed chart topping album Haven. Haven debut #1 on the Billboard Music charts and was the highest overall charting release for the band in nearly all countries. 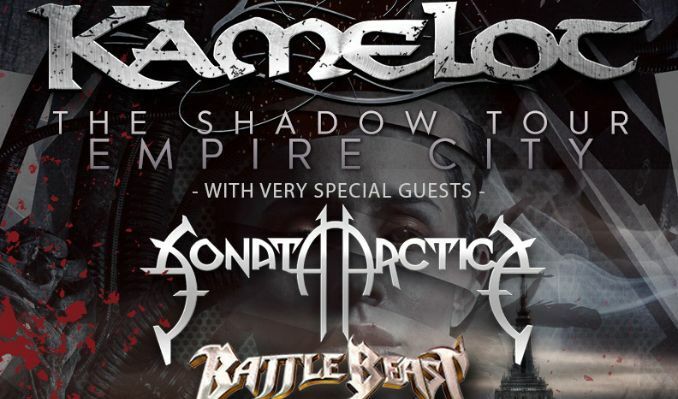 The new album titled THE SHADOW THEORY will make Kamelot history as it will be released worldwide (excl. Asia) on Napalm Records/Universal and Napalm Records/ADA/Warner as an exclusive licensing deal through the band's KAMELOT MUSIC LLC and will showcase Kamelot at yet another level, both in terms of production and visual artistry. It's time to step into the dystopic and psychological world of The Shadow Theory. The new album features all the signature elements of Kamelot but the band steps out to add new and industrial elements along with bringing some amazing emotions that harken to the band's earlier days. Kamelot’s artsy music is chock full of symbolism relating to how the band feels about the world and the current state of civilization. No doubt about it: 2018-2019 will turn into yet another Kamelot year!